The casual and versatile Lilly dining group is a warm and comfortable way to add style to any dining room or kitchen. The rich, granite-colored padded dining chairs with diamond-tufted backs add an instant boost of style and sophistication. 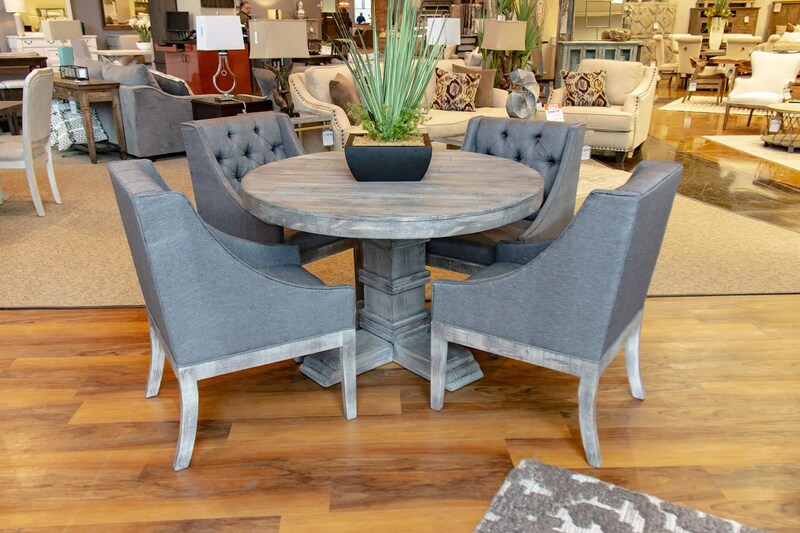 The Lilly Dining Cube Table with Four Padded Chairs by Vintage at Great American Home Store in the Memphis, TN, Southaven, MS area. Product availability may vary. Contact us for the most current availability on this product.